Big footers can rejoice for another year as the Rollerblade RB XL was designed for the skater with big feet and is back for another year. Fitting sizes 14 to 17.5 if you have big feet and always wanted to go inline skating you are now able to. The RB XL provides comfort, support and performance for big and tall men. The High Performance Training 5 Star Fit liner will keep your feet feeling very good. The 90mm wheels with SG5 bearings give you a smooth and solid roll that will provide you hours of inline skating fun. These skates are also very stable with a cuff buckle, powerstrap and laces to give you the confidence you need to succeed in inline skating. Q: Can the Rollerblade 3WD Marathon Pack frame be attached to these? 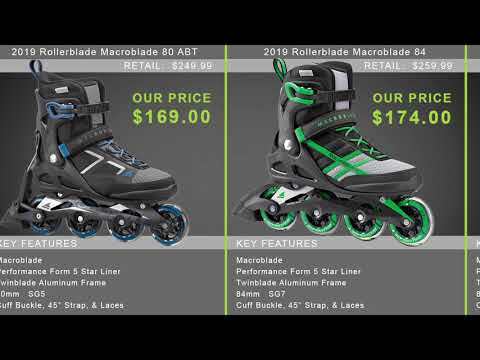 I've read conflicting statements on Rollerblade's website about this. Some say yes, it has a 195 point fixation. Others say no, it has two screws on the back. A: Yes, it does have the 195 spacing but also offers a special 3 point fixation so you can't simply mount aftermarket 195 frames on these skates. Unfortunately at this time there is not an aftermarket frame offered from RB for this model. 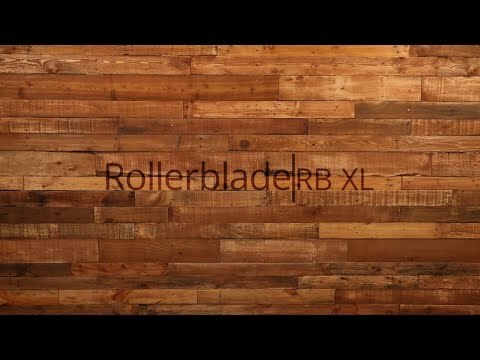 Q: Do you have any idea if Rollerblade is going to produce more XL skates? Perhaps some aggressive skates? A: I doubt it, I haven't seen anything hinting at them moving the XL into any other skates. Q: Do these skates run big, small or true to size? I normally wear a size 14 wide. A: Rollerblade skates run true to shoe size except for a few specific models which are mentioned on the size chart. The RB XL is going to run true to shoe size so the 14 should be just fine, these are not available in wide widths but with the softer style boot it will break in and can be accommodating to a wider foot. To accommodate an extra wide foot you could go to the size 14.5 and then add a heel lift or aftermarket footbed. Q: what is the weight limit on these? i weigh 500 pounds and am built like a linebacker, and i would like to take up rollerblading again. A: Inline skate manufacturers do not release weight limits on their skates so it's hard to put an actual number on it. I would recommend a skate like this one with a beefed up metal frame, that's going to be the best bet as it will offer the greatest support and durability. These skates are great if you need the larger size as well, if you don't there are other urban skate models that will offer a durable frame built for abuse so they will offer great support as well, skates like the Rollerblade Metroblade, K2 Sodo, and Rollerblade Twister series are all built like tanks and would work well. Best bet is to give it a try, skates are built tough these days so no time like the present.